The Franklin Sports official sized American series horseshoes scream America! What's more American than playing horseshoes at your next summer party. This set is extremely durable thanks to the advanced manufacturing process. Each horseshoe and stake is finished with an impact resistant powder coat finished paint. 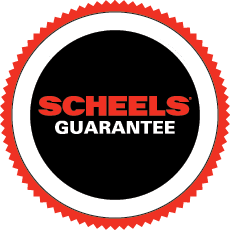 We haven't used it yet due to the weather but since Scheels keeps sending survey requests I will rate it a 3 for now and I will update further once we actually use them. They do seem well made and are very nice to look at though!